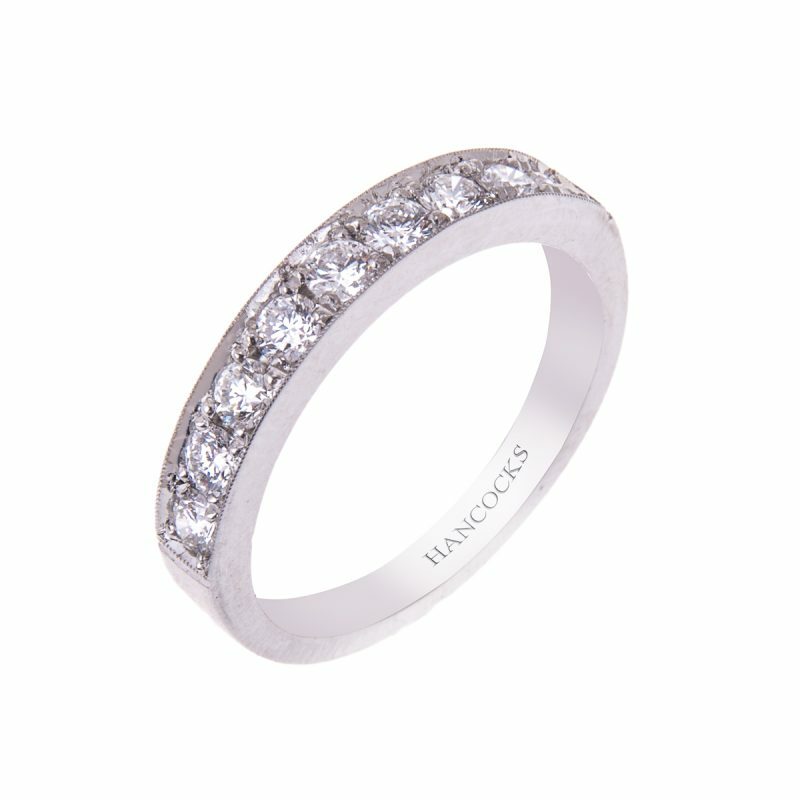 Delivering effortless modern style, this beautiful platinum eternity ring, set with 9 brilliant cut diamonds, their sparkling facets catch the wearers every move, in this half diamond set band. 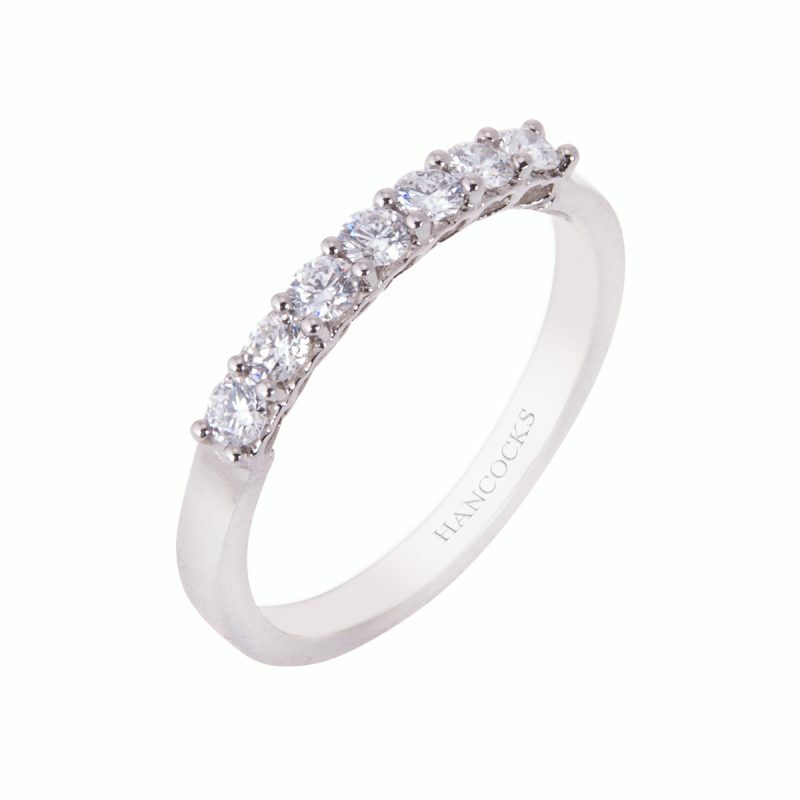 Each stone securely held in a grain setting whilst allowing them to exhibit all their natural fire and brilliance. 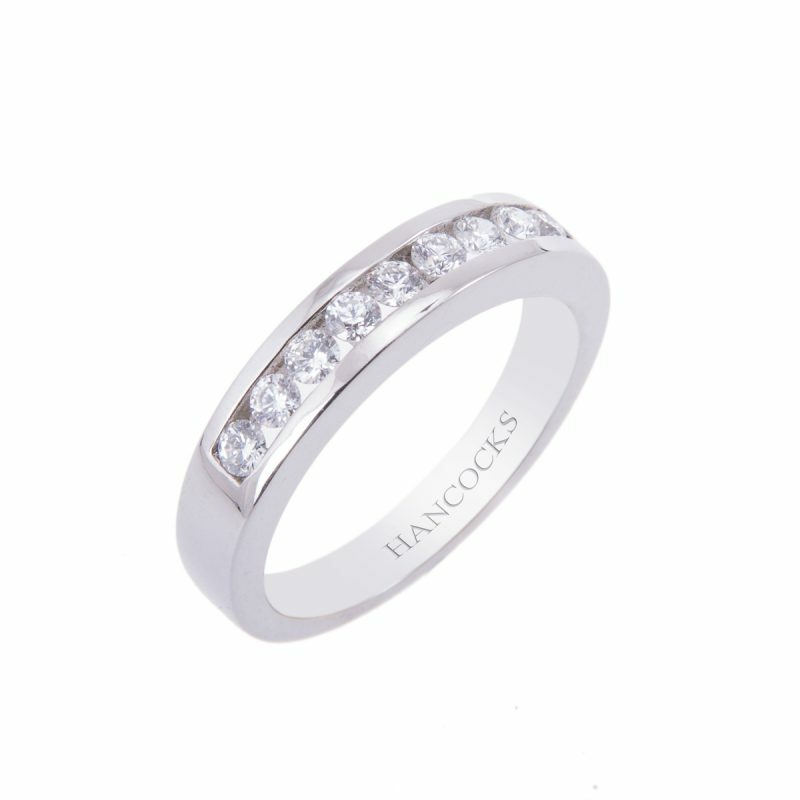 This versatile ring can be worn as an eternity ring, dress ring or diamond set wedding band.